Premature bleaching of infected spikelet in wheat. Picture courtesy of Kelly Turkington, AAFC. Scouting for fusarium head blight (FHB) symptoms is key to realizing whether a field is a candidate for the application of a FHB plan. Neil Whatley, crop specialist at the Alberta Ag-Info Centre, explains its importance and what to look for when scouting. 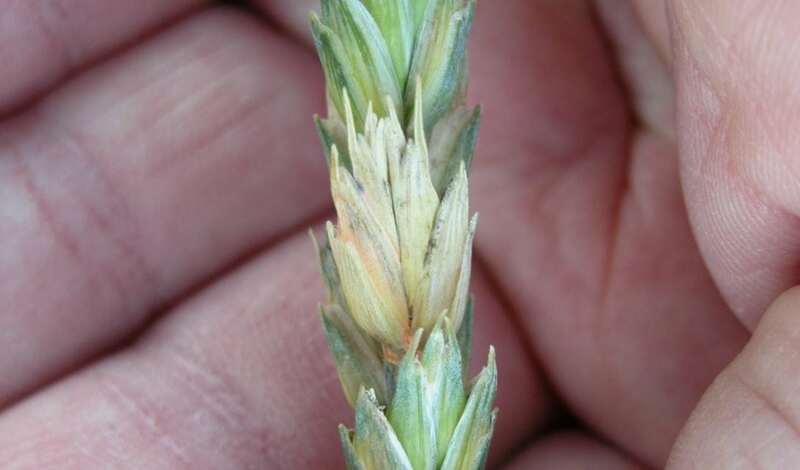 The most apparent FHB disease symptom in wheat is premature bleaching of one or more infected spikelets in the cereal plant’s head, which is visibly apparent on green heads. Orange, pink or salmon coloured fungal growth may also appear at the base and edges of the glumes on these blighted head parts. Symptoms in barley are much less distinct and the brownish discolouration of FHB infected barley spikelets can easily be confused with hail damage or the extended symptoms of other barley diseases like spot blotch, i.e. kernel smudge. 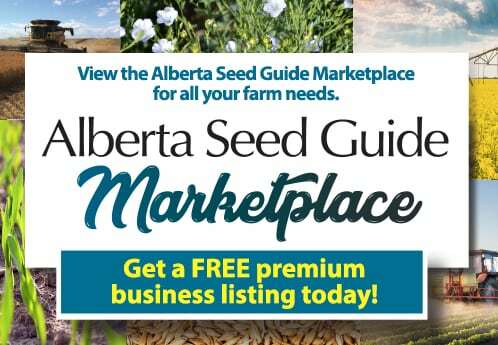 For more information about scouting for FHB symptoms, contact the Alberta Ag-Info Centre at 310-FARM (3276).